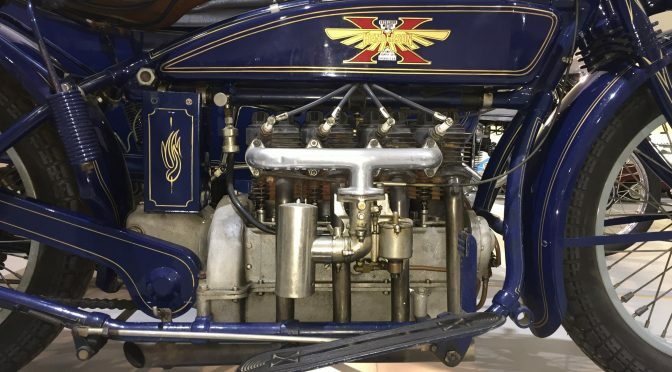 1923 Henderson Deluxe 2017 from Karen on Vimeo. 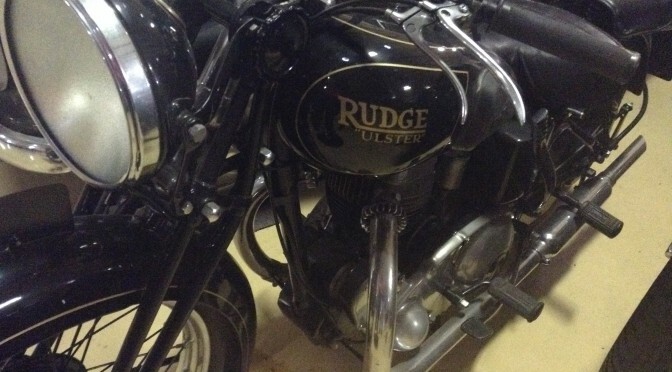 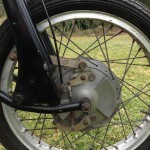 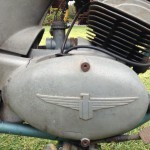 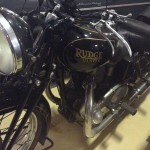 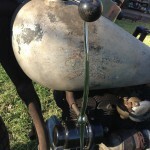 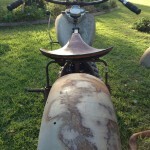 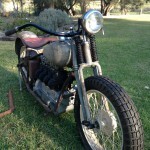 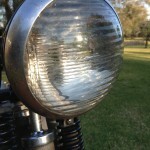 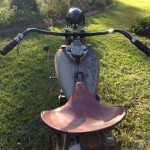 This is a veteran Douglas motorcycle that had been bought by Kevin as a complete bike. 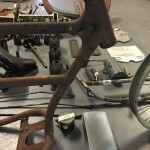 It was subsequently partly disassembled as he commenced work on it. 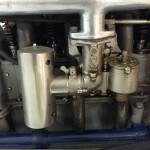 He had worked on the engine and tank and these have now been put back into the frame for these photos. 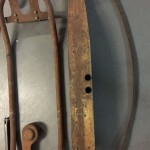 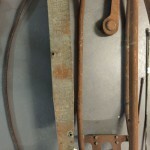 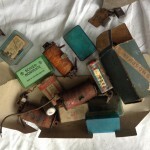 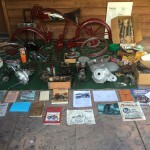 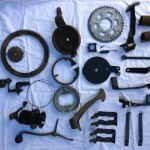 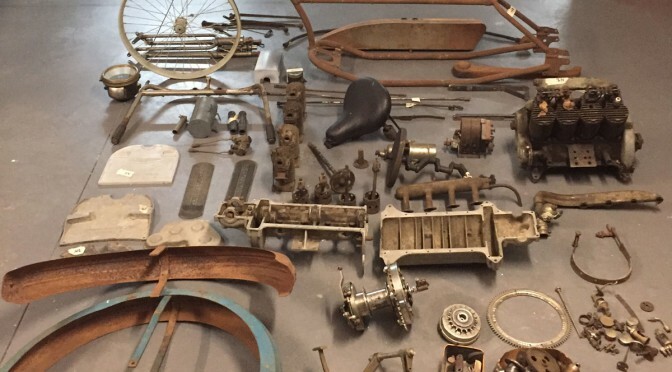 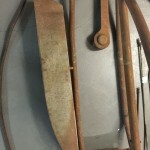 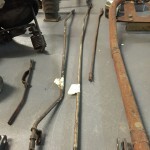 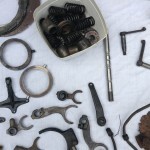 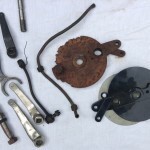 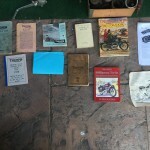 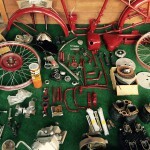 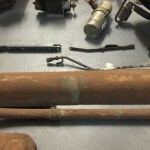 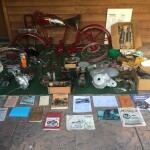 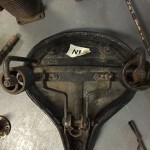 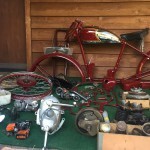 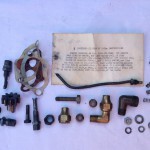 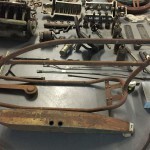 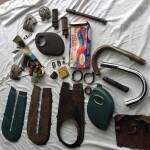 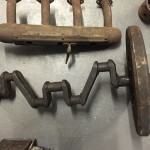 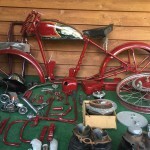 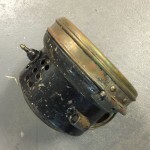 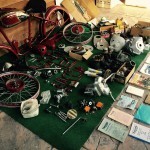 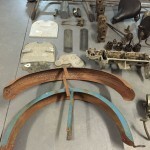 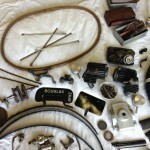 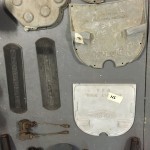 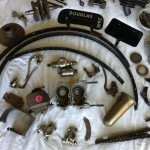 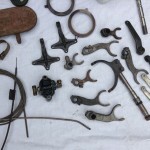 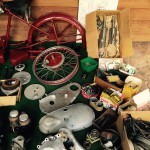 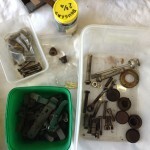 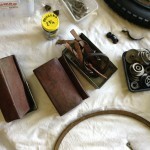 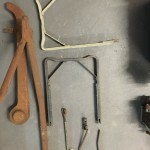 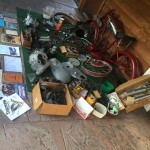 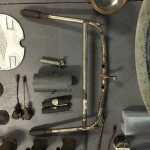 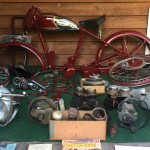 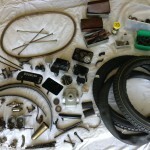 Other parts and spares are in the accompanying crates and incudes additional cylinder barrels, unused tyres (for display), a second veteran magneto, 1914 gearbox case, Douglas nuts and bolts, mudguard stays, reproduction pannier cases, headlight stay clamps, newly nickeled levers etc. 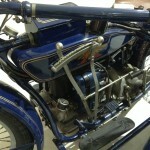 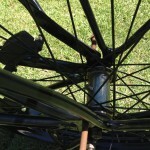 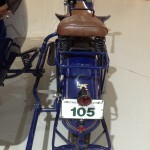 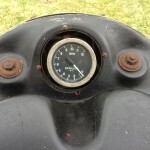 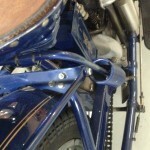 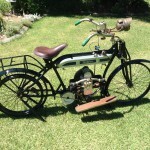 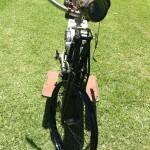 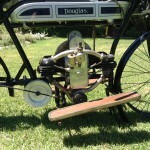 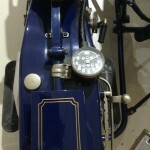 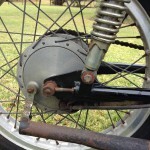 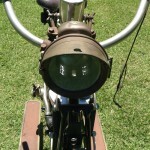 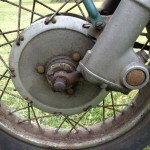 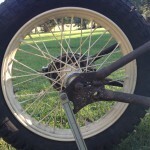 The frame on this bike is dated as 1915 and the engine number is consistent with 1914. 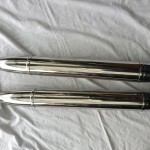 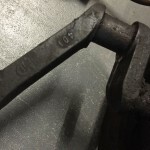 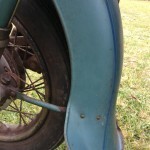 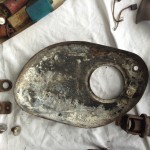 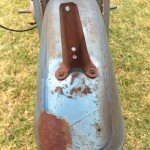 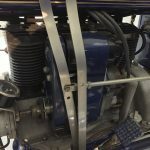 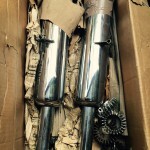 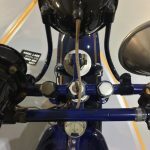 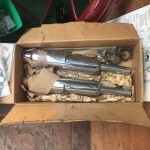 It will require some work to get it on the road including a fix on the central shaft of the handlebars, attachment of the front brake, sourcing of footboard holders, restoration of the headlight stays etc. 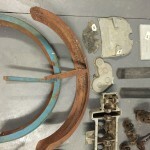 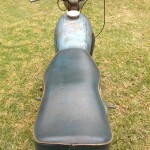 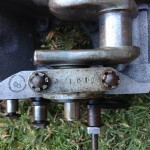 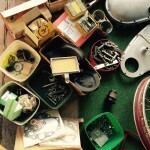 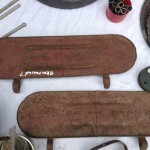 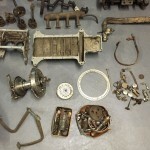 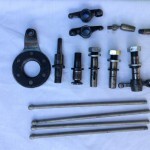 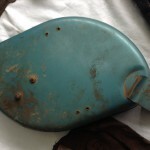 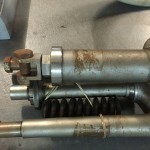 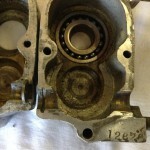 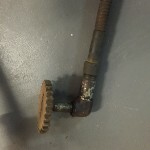 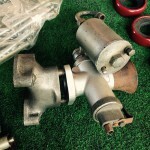 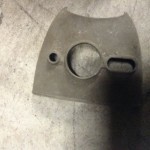 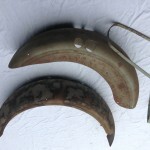 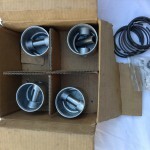 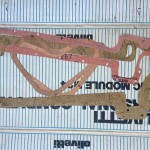 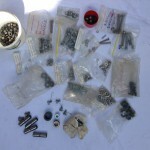 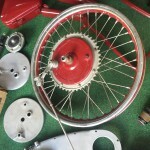 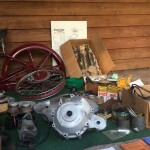 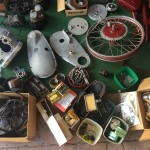 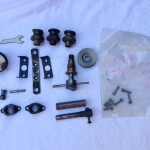 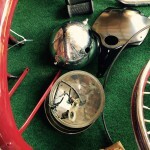 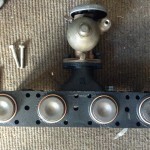 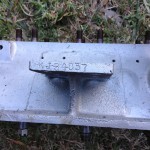 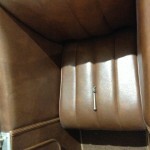 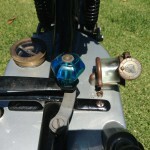 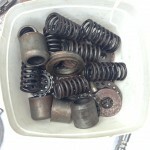 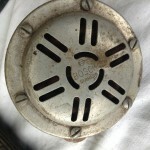 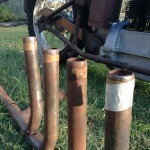 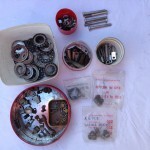 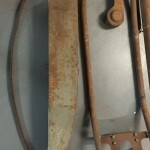 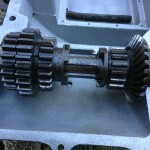 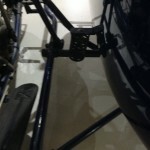 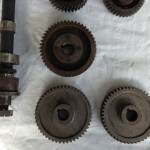 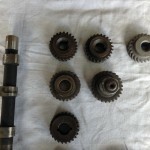 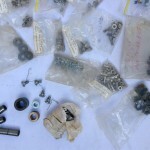 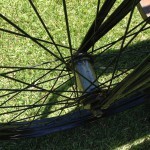 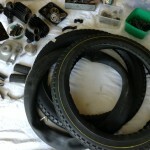 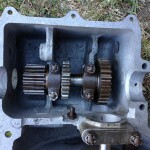 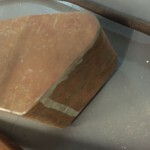 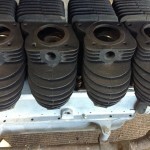 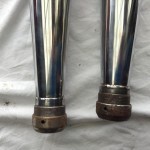 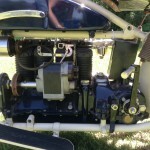 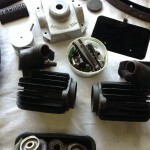 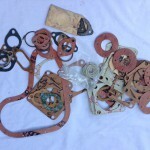 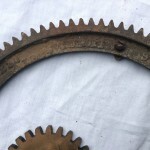 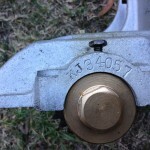 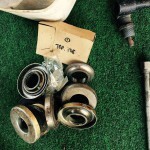 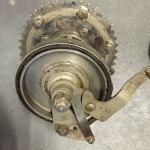 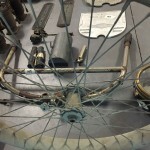 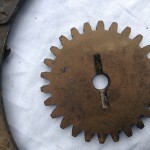 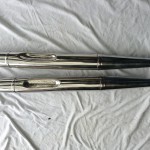 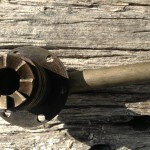 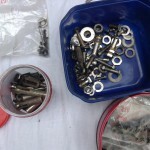 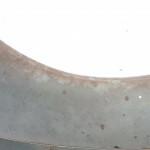 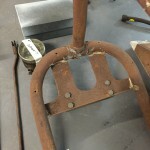 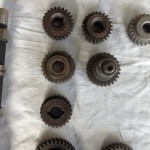 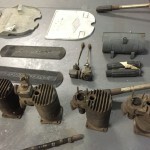 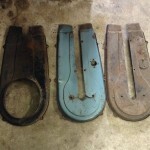 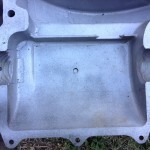 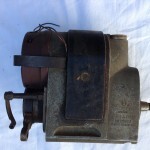 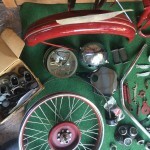 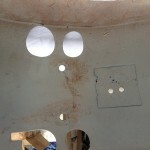 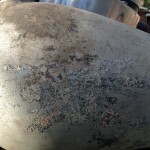 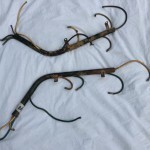 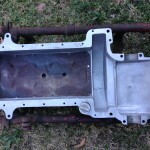 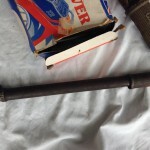 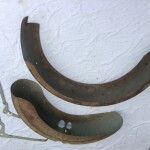 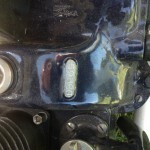 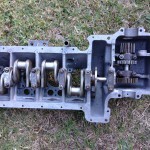 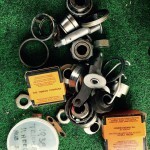 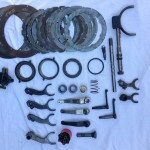 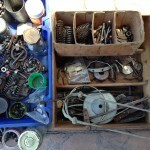 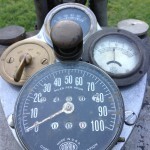 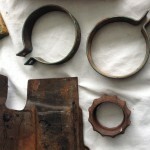 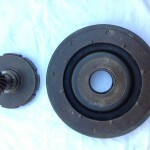 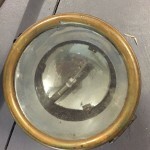 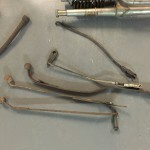 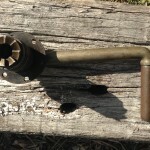 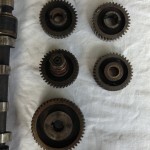 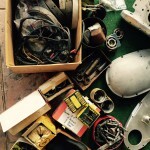 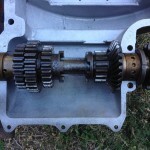 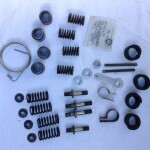 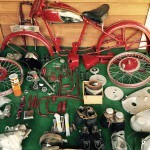 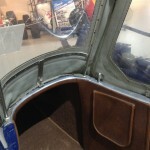 However, most of the major parts are present and in good condition. 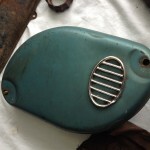 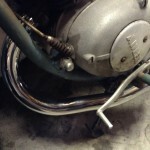 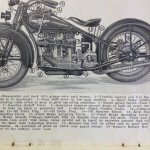 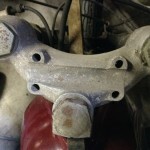 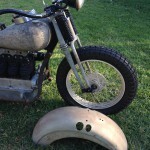 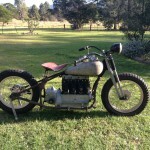 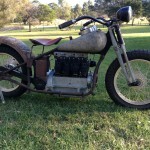 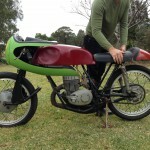 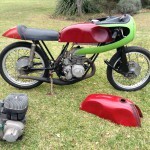 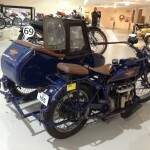 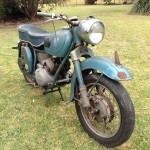 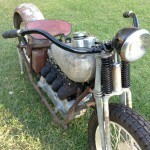 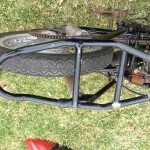 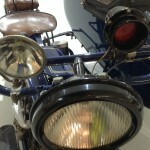 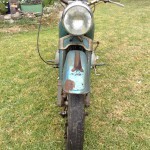 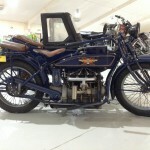 This is a lovely little veteran project and will be a great bike for rallies when it is completed. 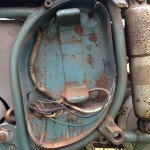 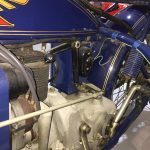 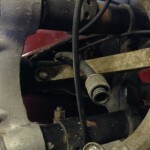 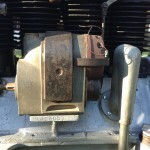 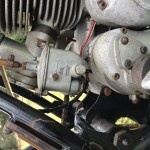 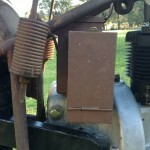 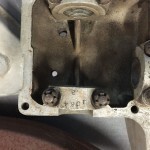 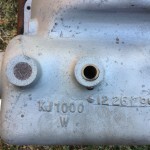 Please note that there is only one carburettor- the one shown attached to the engine is the same one in the parts display photo. 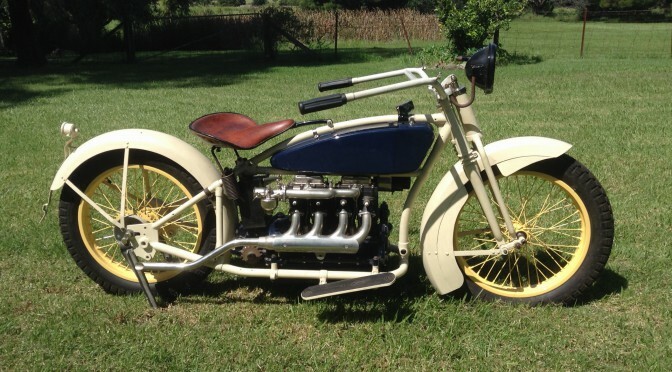 This bike is currently for sale on ebay. 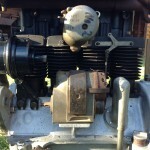 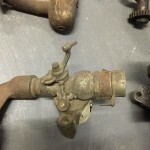 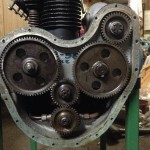 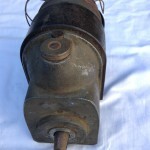 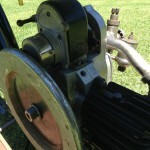 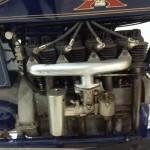 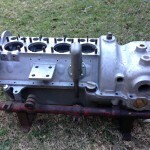 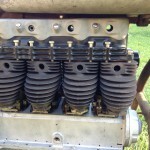 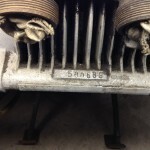 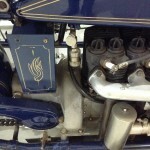 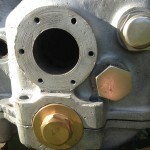 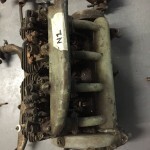 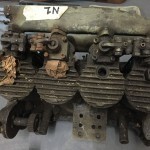 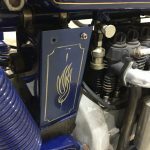 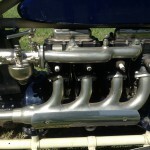 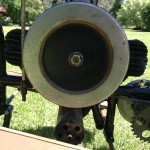 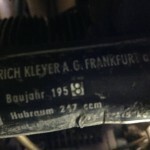 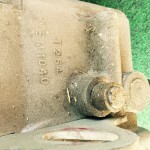 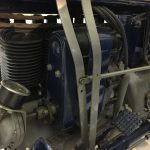 A second 1914 engine is also for sale on ebay. 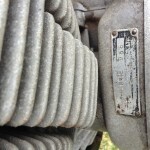 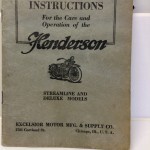 For collectors, the Henderson KJ Streamline really needs no introduction. 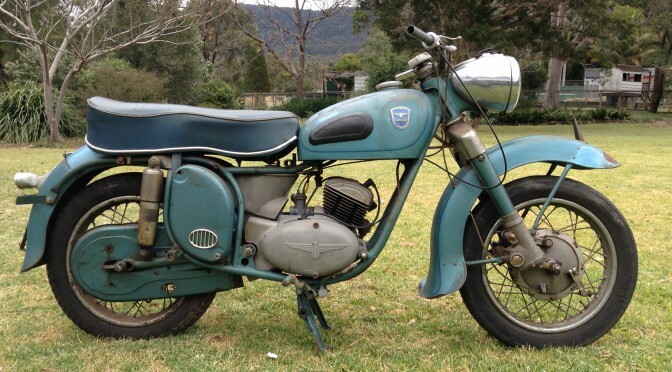 Even without its blue paint, this is already a beautiful looking Henderson KJ project and it is now up for offers. 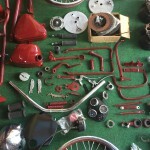 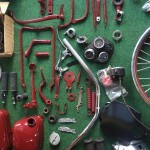 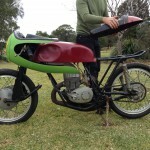 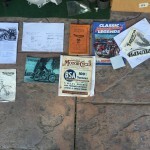 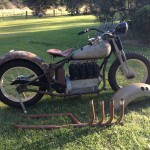 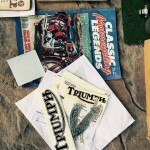 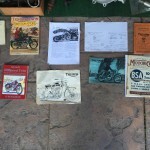 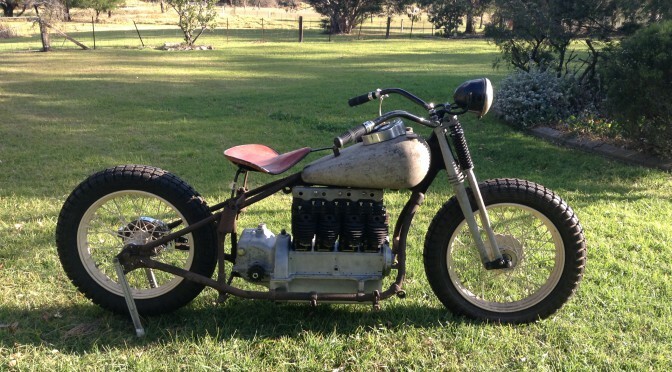 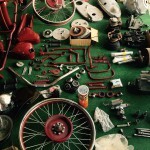 The bike was never completed by Kevin but those who knew his love of this model, knew that he had collected parts for it since the 1970s – even digging them out of people’s gardens. 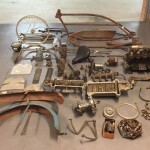 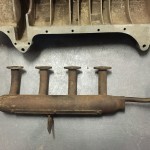 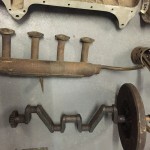 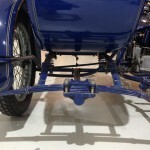 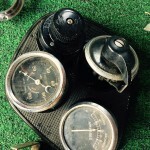 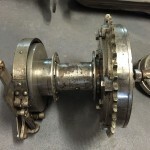 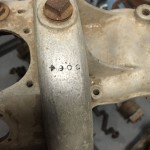 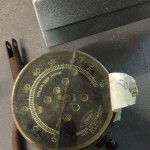 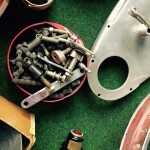 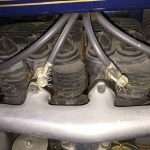 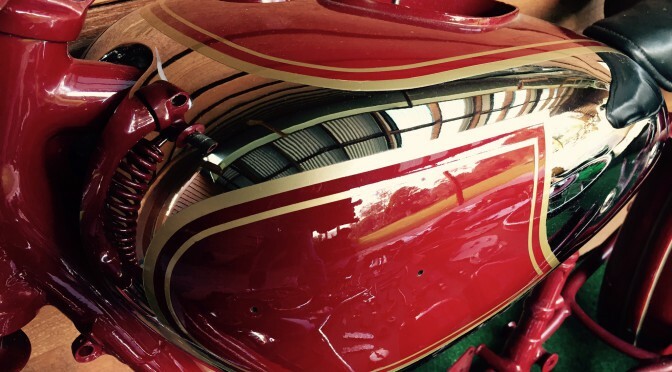 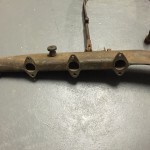 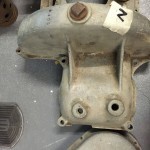 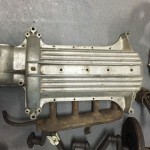 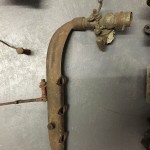 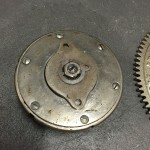 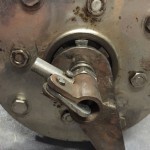 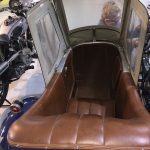 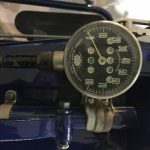 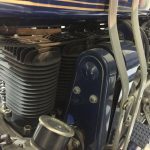 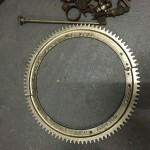 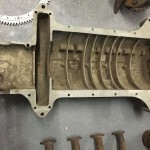 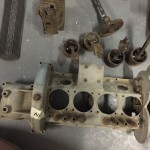 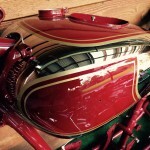 His focus on collecting period correct pieces and his mechanical knowledge shows here in the quality of the parts and the restorations already undertaken. 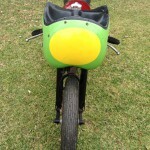 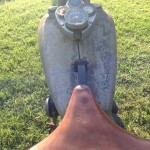 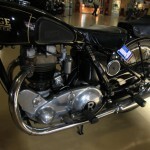 Kevin’s intention was to ride this bike when it was completed and this is relected in the calibre of what is on offer. 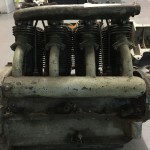 We have pulled the KJ parts together for display and viewing purposes and the engine has been loosly built up but the purchaser will need to undertake a rebuild. 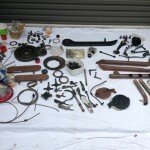 The project is not 100% complete and various smaller items will still need to be located by the buyer. 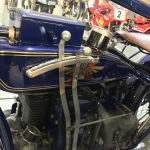 We have tried to photograph the parts fully here but as we are offering a single viewing day on Sunday November 23rd 2014, we highly recommend that serious purchasers or their agent, come to look this over. 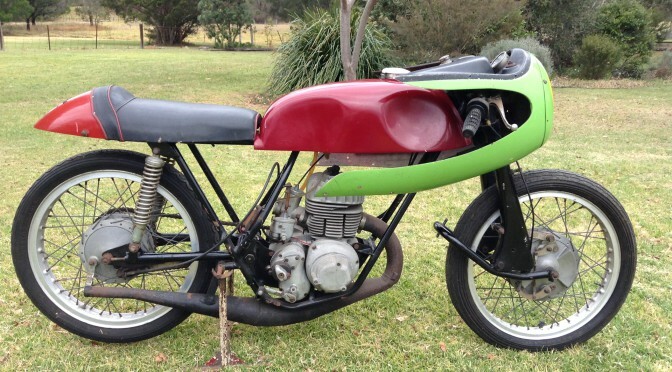 If you are interested in buying this, you will need to make us an offer in writing prior to the deadline of 17:00pm on Sunday 23rd November, 2014. 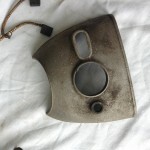 Click here for full details on the blind auction process we are using. 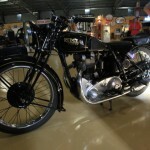 Manufactured by Rudge-Whitworth, the ‘Ulster’ was essentially a racing motorcycle turned out as a production bike. 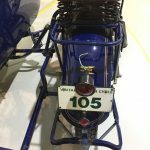 It is a 500cc, single OHV. 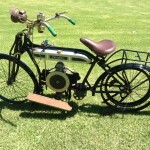 This one was produced in the last year of the model’s production. 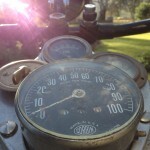 This motorcycle still rides well. 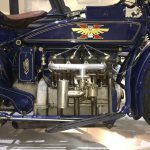 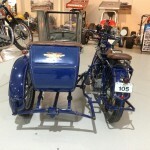 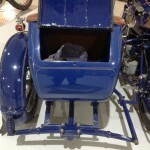 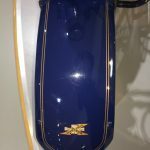 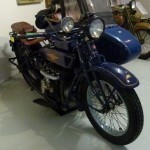 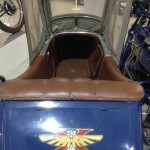 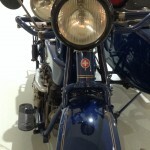 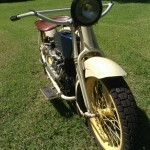 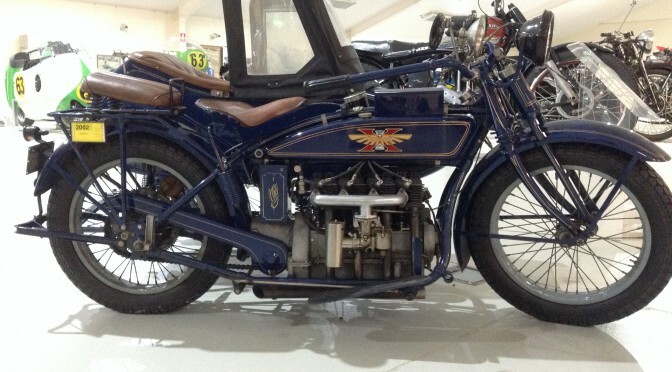 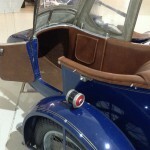 The Adler is a relatively rare German motorcycle which has been increasing in popularity amongst collectors quite recently. 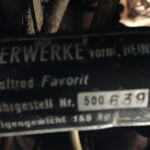 The ‘Favorit’ model is rarer still. 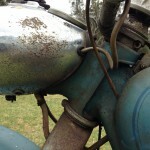 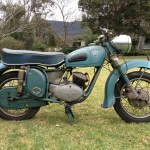 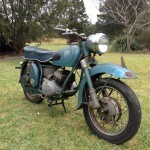 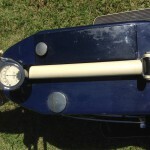 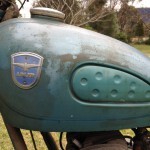 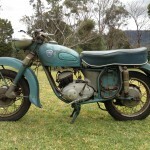 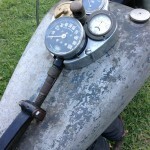 Most Adlers in Australia are MB250 models and there are estimated to be only about 30 of them in the country. 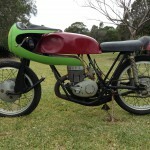 Kevin was a fan of this 2 stroke manufacturer, no doubt due to the role they had inspiring the development of the Yamaha YD-1s in the 60s and because the bikes were fitted with unique ‘Eberspaecher’ exhaust pipes to enhance the power through ‘back pressure’. 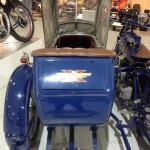 He was also known to race on an Adler. 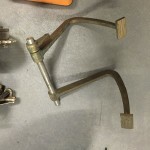 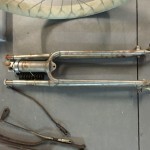 This particular bike was manufactured in the very last year of Adler production and was fitted at the factory with 18″ Sprinter forks rather than the regular 16″ of the Favorit – a rare but not unknown occurrence. 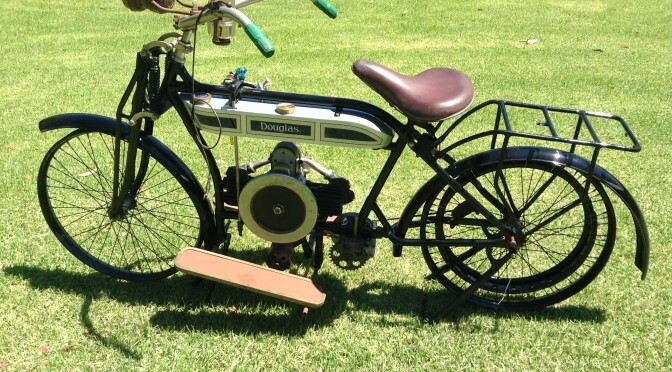 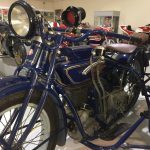 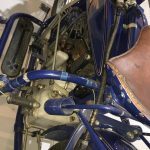 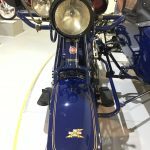 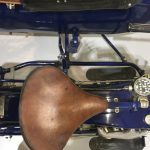 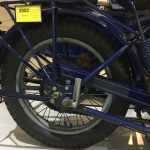 The bike was never restored and is in its original condition and even has its original ignition key, speedo, Bosch horn and Denfeld seat. 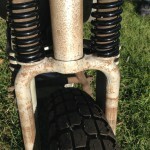 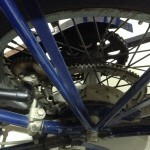 It is not currently running, the chain is broken, the exhaust needs fitting and new tyres need sorting out. 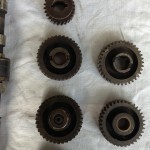 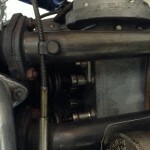 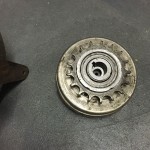 The clutch has also not been fitted properly. 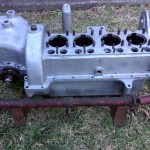 It will need a bit of work to get it back on the road. 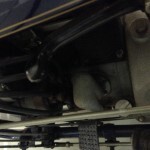 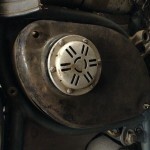 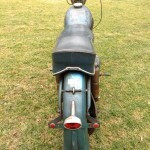 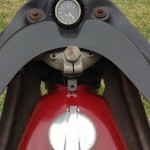 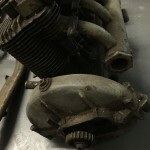 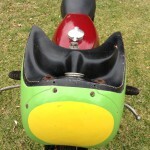 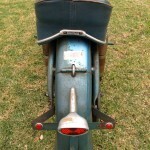 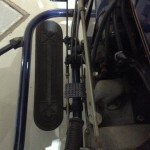 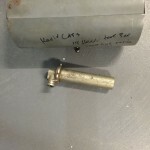 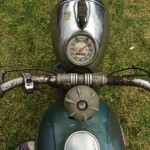 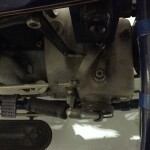 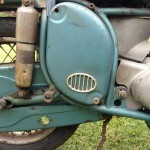 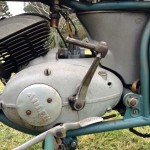 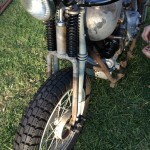 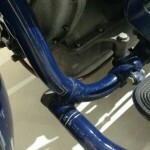 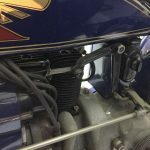 It comes with a complete new exhaust system which Kevin had acquired for the bike as well as an original pipe and baffle, original exhaust clamps, a complete (and very rare) spare chain guard (black) as well as half of its original blue one, a carburetor cover and side horn box cover (black). 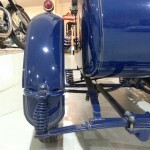 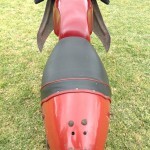 It is missing tank rubbers but is otherwise remarkably complete. 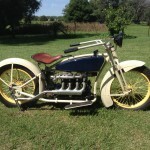 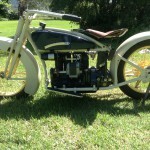 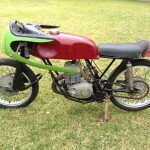 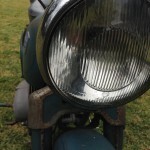 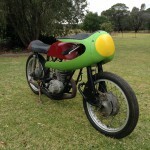 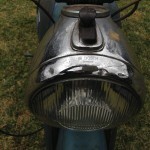 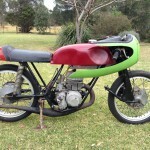 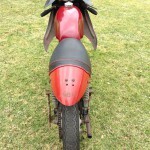 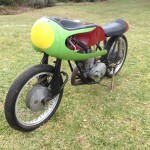 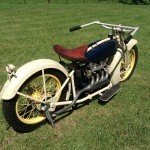 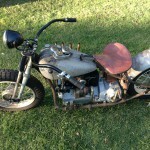 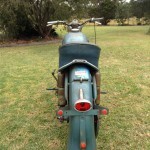 This bike will be sold through Shannons auctions. 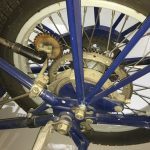 Many thanks to Michael Liebig for his help with our understanding this bike as well as to various members of Adlers Oz who have provided incredible assistance. 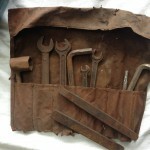 We have donated an Adler toolkit to this group in gratitude.